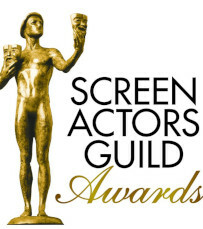 The big award season in Hollywood kicked off with Golden Globes and continues with the Screen Actors Guild (SAG) Awards! SAG took place over the weekend in Los Angeles and, although there were many predictable wins, there were still a few that managed to shock us. A-list stars shined in their impressive outfits on the red carpet and contributed this night to be the one we’d remember but let’s start from the beginning. The first unexpected win for the night went to Tony Shalhoub who managed to beat Michael Douglas and Henry Winkler in the comedy ensemble category, although they both were winners at the previous award shows. Sandra Oh, who previously won a Golden Globe for her work in Killing Eve, took home the Screen Actors Guild Award for her work in the BBC America show. After becoming the first Best Drama Actress Emmy nominee of Asian origin and the first Asian actress to win two Golden Globes, she’s now just the second person to win two drama actress Screen Actors Guild Awards for two different shows after triumphing in Grey’s Anatomy 13 year ago. Rachel Brosnahan took home the statue for her individual work as the title character. This wasn’t her first nomination but it was the first win in her career. There were many firsts on the night including Rami Malek, Darren Criss, Jason Bateman and Emily Blunt. Blunt was expected to win in the colorful musical Merry Poppins Returns but instead, she won the award for her outstanding performance by a female actor in a supporting role in a spooky drama A Quiet Place. Glenn Close won for her work in The Wife, placing her on track to win the Oscar which would be the first in her career although she was nominated six times. The Biggest Surprise of the award night was Black Panther’s big win for the film ensemble. Chadwick Boseman accepted the award and honored the cast with the kindest words. He praised them all with intelligence, resolve, the discipline that everybody showed during the process of making Black Panther. They all hope the movie will change the industry that will finally accept young, gifted and black actors just as they deserve. “That is something that I wish all actors would get the opportunity to experience”, Boseman concluded his speech.